On Thursday, the Riigikogu passed the Act on Amendments to the Land Reform Act and Other Acts (516 SE). 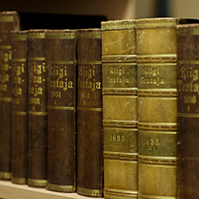 The Riigikogu made significant amendments to the Act in the course of the legislative proceeding, for example, the Act extends the rights of a county governor. The original aim of the Act initiated by the Government was to introduce into the Land Reform Act a basis for the establishment of the information system of claims for instalment payments for land. County governments enter the contracts concerning the instalment payments granted upon payment for the lands privatised during the land reform, usufructs of the state land and building rights into the information system of claims for instalment payments for land. The accuracy of the division of the amounts received from each debtor is checked and reminding and balance confirmation letters are sent. Debt proceeding acts regarding overdue amounts, meaning the submission of materials to bailiffs and courts, are also performed at county governments. 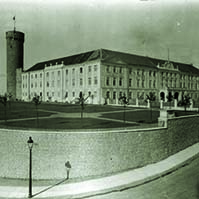 The Act was significantly amended in the course of the legislative proceeding of the Riigikogu. The Act also amends the Land Valuation Act, the Act on Acquisition of Land on which Usufruct Has Been Established during Land Reform and the Code of Enforcement Procedure. The Government was granted the right to regulate the proceeding of the constitution of a right of superficies and to set deadlines and the terms of the constitution of a right of superficies. The amount of the annual fee for the right of superficies, the possibility of changing the fee, and the bases for changing the annual fee for the right of superficies are significant terms of the constitution of a right of superficies. The Act also says that, during the land reform, the right of superficies is not constituted on the basis of a building permit if building has not been commenced on the basis thereof. One of the main objectives of the land reform has been to enable the owner of a structure to also become the owner of the land under the structure. According to the Act, building permits issued pursuant to lawful procedure are considered to be equal to structures, meaning that land can be privatised and the right of superficies can be constituted also on the basis of a valid building permit. In the course of the land reform, persons have been granted the possibility to realise a building permit by constructing a structure. In a situation where a person has not yet started the construction of a structure, there is no reason to presume that the person is actually interested in the realisation of the building permit. In view of the objective to complete the land reform, it is necessary to preclude the transfer of land into the ownership or use of persons who have not started construction since the issue of the building permit or who have not been interested in the carrying out of the land reform. Since the person has not realised the right to build within years, the public interest to complete the land reform outweighs the expectation of the person that the legal order remains unchanged. The Act grants the county governor the possibility to authorise an official of the county government to enter into contracts for the constitution of the right of superficies. The Act also provides for the possibility to enter into a contract for the constitution of the right of superficies on state land in written form. In the interests of effectiveness of the proceedings, contracts for both return of land and privatisation of land are entered into in written form in carrying out the land reform. Exceptions are made only in cases where the acquirer of the land wishes to pay by instalments. In such a case, the contract is entered into in notarial format, in order to secure the debt claim by mortgage. The establishment of limited real rights, for example, encumbrance of agricultural land with a usufruct, is also done in written form. The amount of the annual fee for the right of superficies is entered into the land register part of the right of superficies as a real encumbrance on the basis of a written request of the county governor. Here, too, notarial format has been abandoned in order to lower the time and cost of proceedings. The Act specifies the restrictions on the acquisition of agricultural land on which usufruct has been established during the land reform. So far, the acquisition of agricultural land on which usufruct has been established has been restricted based on the interests of the state relating to nature conservation, heritage conservation and mineral resources. According to law, a county governor as an administrator of state assets does not have the right to refuse to sell land in a situation where the state needs the land for the establishment of different line constructions of national importance, e.g. a road or railway, including Rail Baltic. In order to preclude that land needed for the exercise of state authority or other public purpose is transferred to a usuftructor, the county governor has to ascertain the needs of the state beforehand. The state real estate register allows the interests of the state to be ascertained quickly in the transfer proceedings. Also, land on which usufruct has been established may be needed by a local government, for example, for the construction of cycle tracks. The Act grants a county governor the possibility to suspend the proceedings for the acquisition of land in a situation where land on which usufruct has been established may be needed for the exercise of state authority, by a local government or for other public purpose. The proceedings are suspended until the circumstances of importance for the matter are clarified. 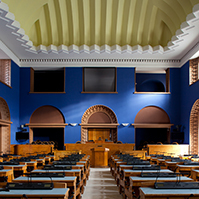 77 members of the Riigikogu voted in favour of the passing of the Act. 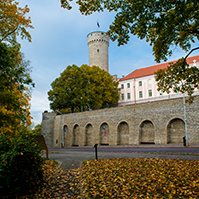 The Riigikogu passed with 68 votes in favour the Act on Amendments to § 32 of the State Budget Act (547 SE), initiated by the Finance Committee of the Riigikogu. It grants the Ministry of Finance the possibility to organise the payments related to funded pensions and securities made by the registrar of the Estonian Central Register of Securities to be settled through the State Treasury, if necessary. The Act enters into force on 1 February 2014. 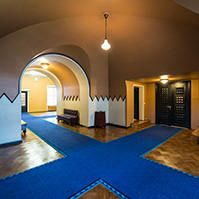 The Riigikogu passed with 80 votes in favour the Act on Amendments to the Customs Act, the Penal Code and the Act on Export and Import of Cultural Valuables (515 SE), initiated by the Government. The Act is directed at preventing tax evasions and illicit trafficking, enhancing the customs cooperation of the Baltic States and improving measures for combating money laundering. The Act increases the penalty for failure to declare cash and harmonises it with the sanctions applicable in other European Union (EU) countries. The current fine was one of the lowest in the EU and, besides, money could not be confiscated. The Act enters into force on 1 February 2014. 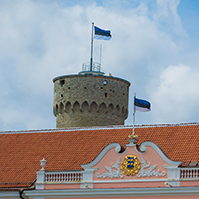 The provisions concerning the submission of notices relating to economic activities via the Estonian information portal enter into force together with the entry into force of the General Part of the Economic Activities Code Act on 1 July 2014. The Riigikogu passed with 75 votes in favour (in addition, two members of the Riigikogu abstained) the Act on Amendments to the Study Allowances and Study Loans Act (478 SE), initiated by the Social Democratic Party Faction. On the basis of the Act, the family members who are not minors and who are studying at the upper secondary school are taken into account upon application for the needs-based study allowance. As the last item on the agenda, the Riigikogu deliberated the matter of significant national importance “The impact of family allowances on birth rate and the welfare of children”. Reports were by Senior Research Fellow at the University of Tartu Mare Ainsaar, Senior Research Fellow at Tallinn University Marge Unt and member of the Social Democratic Party Faction Urve Palo. Senior Research Fellow at the University of Tartu Mare Ainsaar said in her report that Estonian people wish to have children, as compared with the rest of Europe. “It is one of the most important things and the situation is actually very good in this regard in Estonia,” Ainsaar said. She said that, in Europe, the desire to have children is affected by various fears as to whether the people will be able to manage with the children. In Estonia, people are different in that the norm, that is, the opinion of the society does not affect the desire to have children. “Estonian people or young people are relatively indifferent as to what the society or other people expect of them. They are relatively egoistic and draw on their personal understandings in these matters,” Ainsaar explained. Ainsaar said that different kinds of economic reasons are the main reasons for postponing giving birth. Besides money, a partner is also an important issue – there is no partner or the partner does not want children. Also, many young people think that the time is not right. They need to study or achieve something in life before having children. There are also difficulties with reconciling work and family life. To sum up, as regards the increase of the birth rate, there is something that the state can do and there is also something that the state cannot change easily. Ainsaar pointed out that the Estonian family policy has become stronger. “We have a reason to believe that parenthood is selective in Estonia. This is revealed in studies on the parental benefit. In principle, these studies say that, starting from the time when the parental benefit was implemented, parents who are well off have been more encouraged by that. The result is very positive for Estonia. Families with children have a happier life and they are more satisfied with life. When we look a little further, we can see that this is mainly because parenthood is pre-selective. People who become parents already have certain personal characteristics, and the economy does not have too big influence there,” Ainsaar said. In her opinion, child benefits should not be differentiated or the issue should be handled with caution. At the same time, she made a proposal to implement the term “child money” instead of child allowance because it does not stigmatise. Ainsaar confirmed that policies matter to people which is proved by the fact that the birth rate has increased among the wealthier population. However, Estonia should set as a goal that children be born to every family. “It is our desire that everybody have children and a family. A child is expensive, and it is wise to compensate the expenses in some way at all levels – the state, the local government, co-citizens and other assistance,” Ainsaar said in conclusion. Senior Research Fellow at Tallinn University Marge Unt said in her report that young people of 20-40 years of age postpone giving birth to their first child because they do not have a suitable partner or they feel that they are too young to have children. She pointed out that the structure of households has changed and a great number of people live alone as compared with the time of more than ten years ago. Unt noted that since the postponement of giving birth has largely to do with people’s own problems, it is difficult to do anything to solve them. At the same time she pointed out a barrier which might be addressed, namely the barrier of living conditions. In regard to the willingness to have a second and third child, Unt pointed out that money tends to be the issue. The financial obligations are too large, a greater number of children would worsen the material welfare of other children, or the people fear that they will not be able to ensure good education for their children, and they see economic support from the state as too small. Unt pointed out as a positive aspect that there is a big narrative in Estonia saying that Estonians might have a big family. “This narrative is not dead and people wish to have children in Estonia,” Unt said. At the same time, she said the parental benefit system postpones giving birth because women wish to “get their feet on the ground” in the labour market before having children and they devote more time to acquiring education. Unt added that the family policy measures are directed at the moment of birth of the child and the age of infancy, and therefore the system needs balancing. Unt noted that the share of the people who never want to have children is as small as four per cent in Estonia while this indicator is significantly higher in other parts of Europe. Member of the Social Democratic Party Faction Urve Palo also made a report. She said that while 14819 children had been born in Estonia in 2005, 765 children less were born last year and, in turn, 152 children less than last year have been born in ten months this year. “The birth rate keeps decreasing,“ Palo said. Palo pointed out problems with child benefits and made proposals for changing the situation. Palo also stated that the parental benefit is a good initiative and it must definitely be continued. At the same time she said that the principles of the payment of parental benefit might be reviewed. Heljo Pikhof, Rein Aidma, Margus Tsahkna and Olga Sõtnik took the floor during the debate. After today’s sitting ended, Santa Claus visited the Riigikogu and gave presents to the factions of the Riigikogu.